One time men followed the sunlight to mark the time. We followed the sunlight to stop us into the time. And we did it in front of an unbelievable show of the nature. La Meridiana, indeed, is that: it is the freedom of one early-morning swim, it is the happiness of one burning sunset, it is the luck of one falling star in a summer’s night, it is a walk with the sun into the sea’s reflections. Accomodations are distant almost 150 metres from the beach. They are cozy and they are furnished in a simple way. You can choose between familiar apartments with kitchen (Residence option) and double o triple room without kitchen (B&B option). On the beach there is a little bar where you can relax and enjoy an Italian breakfast, a fresh and healty lunch or a romantic aperitif in front of the Stromboli. There is a huge garden with sunbeds where you can relax and get the sun in the day or where you can see fallen stars in the night. 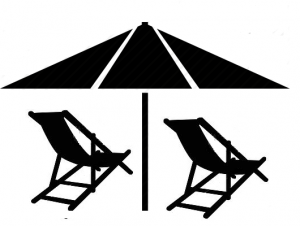 Our beach is private and you have at your disposition one umbrella and two sunchairs per apartment. You have the password to browse the internet. The connection is totally free. There is a nice walk in the middle of the Mediterranean nature to get to the beach, but if you want you can ask for a ride. We can pick you up by our little ecologic cars. There is a huge parking under the olive trees inside our Residence and it’s free. Durante 21 dias nós tivemos o prazer de estar em La Meridiana e desfrutar de férias encantadoras. Uma posição geográfica perfeita, com vista do mar estonteante. Em meio a natureza a tranquilidade reina, o estabelecimento é administrado pela família..
Wir waren zum ersten Mal in der Residence La Meridiana und werden mit Sicherheit wiederkommen. Die Freundlichkeit und Ehrlichkeit der Menschen in der gesamten Region findet in La Meridiana ihren Höhepunkt . Italien gehört zu unseren Lieblings Reisezielen und dabei ist der Strand direkt vor der Haustür ( in ca 5 Minuten zu erreichen) das Beste was wir in Italien bis jetzt hatten . I cannot recommend this hotel enough! The location is stunning, the staff are extremely welcoming and accommodating, and our room was spacious and clean with the most beautiful view of the sea and Mt. Stromboli. La Meridiana is quiet, clean and relaxing. This kind of vacation was exactly what we needed to get away from the stressful hustle of the city.